As promised, President Donald Trump confirmed that he will fire the first shot in the trade war against China by levying tariffs on $34 billion of Chinese imports starting today, triggering almost sure-shot chances of retaliations. Not only China, the European Union is also prepared to cap its imports of steel as part of a knock-on effect of Trump’s protectionism. The global trade war is going to hit a fever pitch this July and in turn derail the global growth momentum. U.S. companies have long been complaining about the tariffs on Chinese imports as these have pushed up raw materials prices. The investing world believes the worst is yet to come as the White House has already decided to enact tariffs on an extra $200 billion worth of Chinese goods, if China keeps retaliating. So, volatility will surely pull the strings of the global markets in July. Meanwhile, there has been a hawkish tone from the Fed and ECB chief. Overall, the shrinkage in central bank stimulus and prospects of dwindling global growth amid trade fear must have kept investors busy in analyzing which investing areas would outperform in July. In any case, July is historically a subtle month. A consensus carried out from 1950 to 2017 shows that July ended up offering positive stock returns in 38 years and negative returns in 30 years, per moneychimp.com, with an average return of 0.89%. Against this historical market performance, let’s take a look at the ETFs that can come across as intriguing bets for the month. It should be a hot investment as the IPO market has seen the busiest quarter in three years in Q2. As many as 60 companies went public raising nearly $13.1 billion. The number easily surpassed 44 IPOs in the first quarter. Most of the companies that went public last quarter have outperformed the broader markets and generated 29% returns. And what’s more intriguing is that 65 companies are waiting to go public in the second half of 2018, with a view to raise a combined $11 billion. Naturally, it makes sense to bet on the Renaissance IPO ETF (NYSEARCA:IPO). 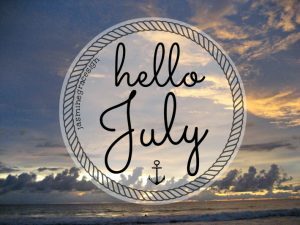 As per Equityclock, Healthcare enjoys seasonal strength in the month of July. If this is not enough, this sector is less ruffled by economic fluctuations due to its non-cyclical nature. The sector is cashing in on plenty of mergers, as is the Health Care Select Sector SPDR Fund (NYSEARCA:XLV). President Trump’s announcement of the drug plans in May, which were in the best interest of pharma companies, may benefit the space. The biotech space picked up momentum lately on compelling valuation, prospects of easing regulations, ebbing threats related to the price gouging issue and several successful clinical trials, making the Virtus LifeSci Biotech Clinical Trials ETF (NYSEARCA:BBC) an interesting consideration. Investors should note that the FDA approved 20 new drugs in the first half of 2018 compared with 23 drugs in the same period last year and 14 in the first half of 2016. Plus, this industry also enjoys seasonal tailwind. Still-cheaper energy prices, stepped-up economic activities, a recovering housing market and a decent labor market are making the consumer segment a great place to stay invested in from the U.S. perspective. The SPDR S&P Retail ETF (NYSEARCA:XRT), which is heavy on small-cap stocks, has a Zacks Rank #1 (Strong Buy). Exposure to the pint-sized stocks will help dodging trade tensions as these focus more on the domestic market. Gold miners are off to a great start in July. First, trade war worries may have brightened the appeal for safe haven asset gold, which is why gold miners — as well as the VanEck Vectors Gold Miners ETF (NYSEARCA:GDX) — have been rallying now. Plus, analyst believe that following a five-year decline, beaten-down Canadian gold miners may be on their way to a turnaround in 2019, as “healthier cash flows lead to more spending on exploration and development, and more attractive dividends.” Notably, Canada takes about half of the fund followed by the United States (17.58%). Article printed from InvestorPlace Media, https://investorplace.com/2018/07/5-etf-play-july-ggsyn/.